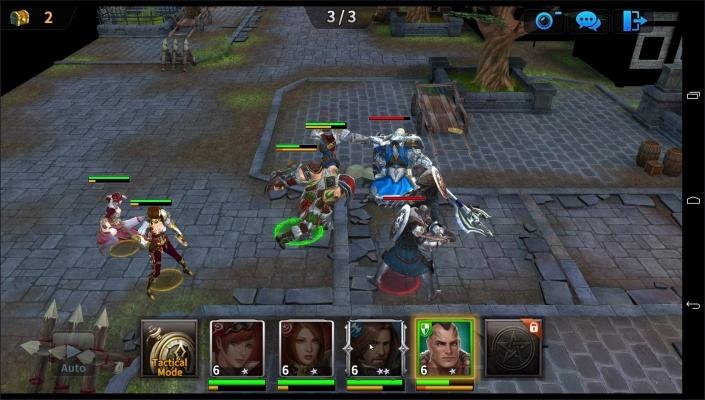 Kingdom of War is a free-to-play (F2P) Android, Strategy RPG (Role-Playing) Multiplayer Game featuring a unique “Tactical Mode” that freezes gameplay and allows players to take full command over the movement, skills, and attacks for all four allies. 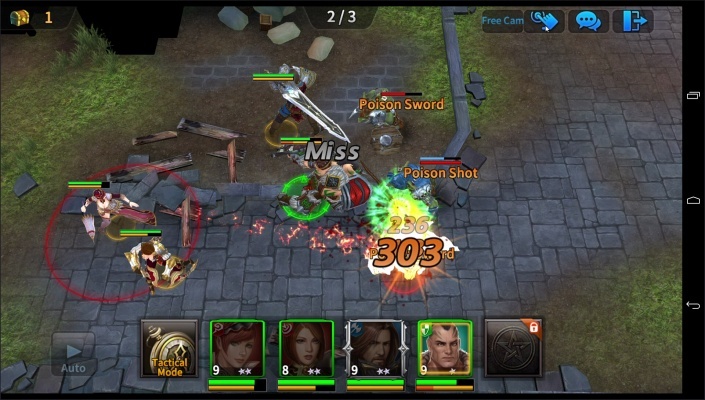 Kingdom of War is a mobile strategy RPG which offers a wide array of heroes which players can recruit into a four man party to assist in epic quests. 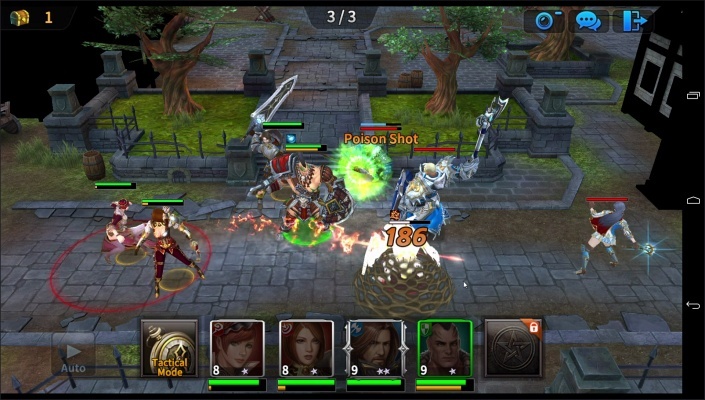 The game features a unique “Tactical Mode” that freezes gameplay and allows players to take full command over the movement, skills, and attacks for all four allies. 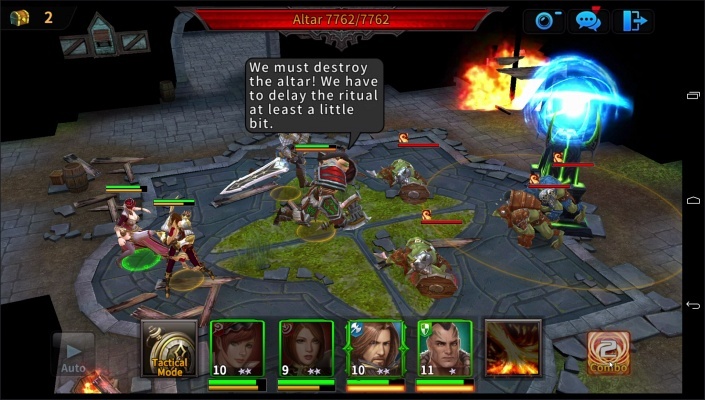 Players will be able to assemble custom teams and develop strategies for Kingdom of War’s unique game defining battle mechanics. 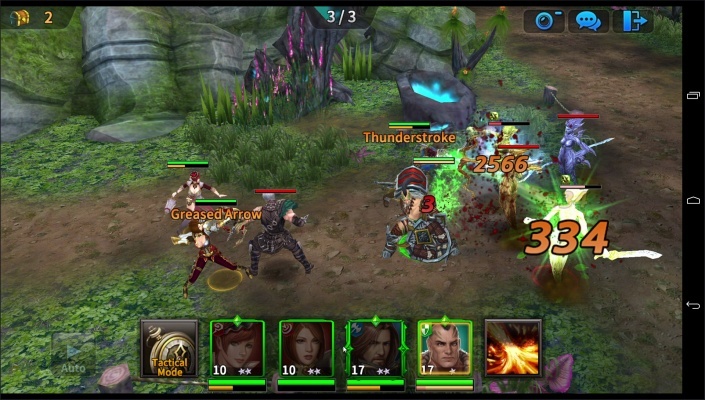 Utilize teamwork and tactics in Conquest Battle as you and your Guild have a limited amount of time in an all-out territory battle against other competing guilds. 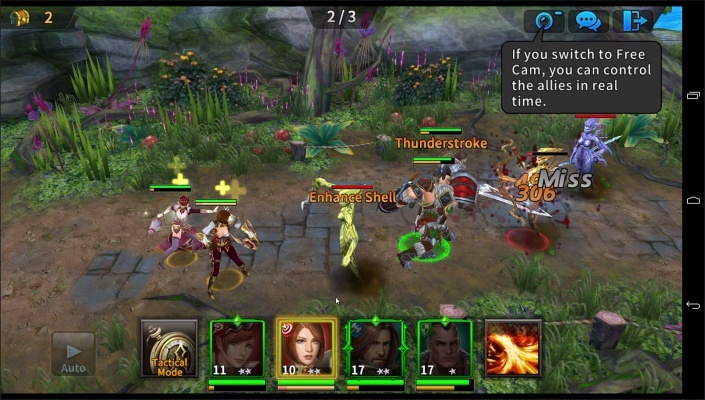 Summon Allies and Expand Your Team - Collect ally fragment pieces and summon powerful heroes to assist you in battle. 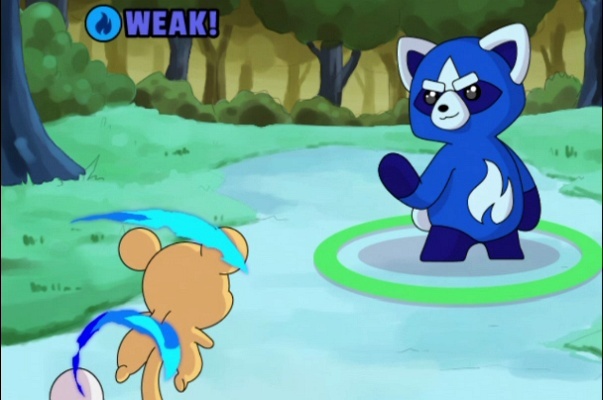 Summoned allies range from one to six stars and each have five abilities which can be unlocked as players evolve them. 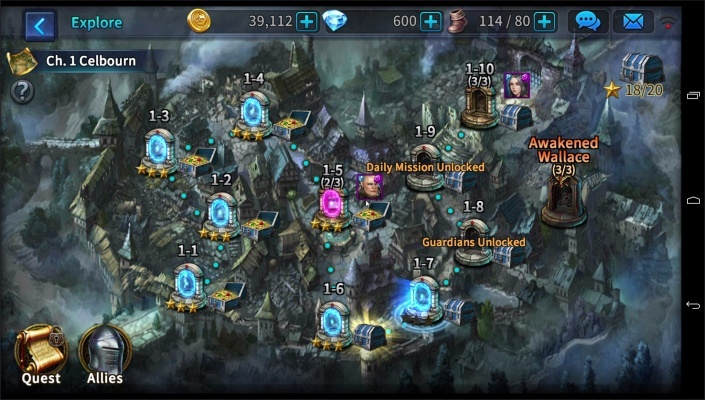 Once enough ally fragments have been obtained, players can either summon the ally, or if already owned, evolve the ally to the next star level. 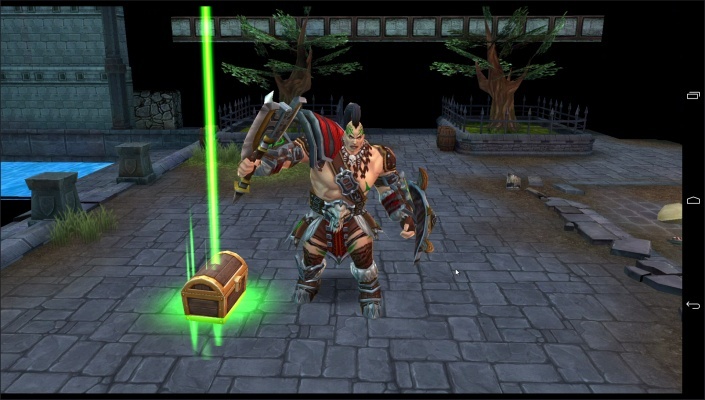 Grow Stronger with Powerful Items - Collect various pieces of equipment for allies to use in battle. 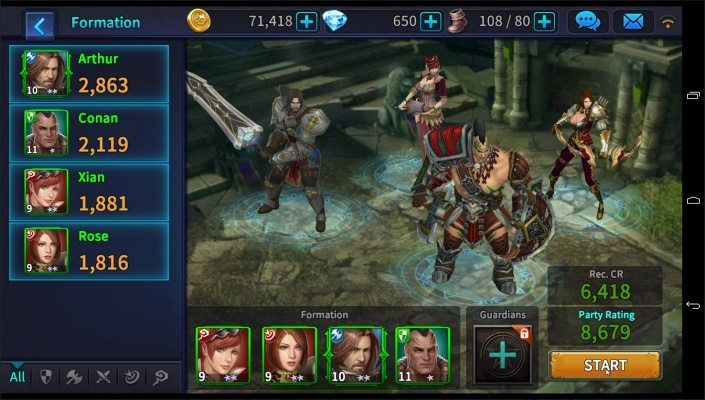 Each hero can equip up to eight pieces of gear which can be collected through the Explore game mode or purchased from the in game shop. 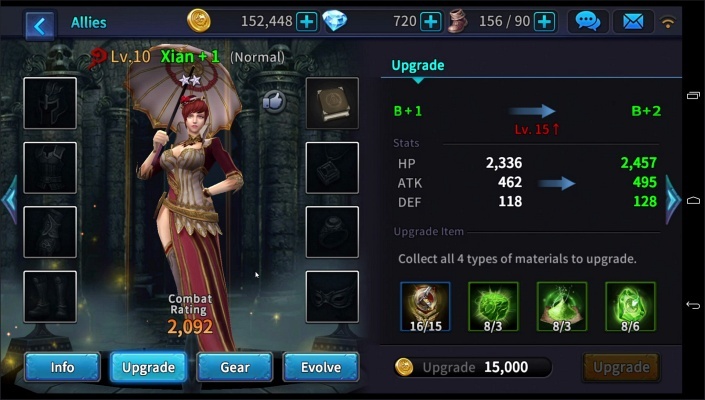 Enhancing equipment to level 5 will allow players to evolve the piece of gear, increasing its stats and overall combat power of the item. 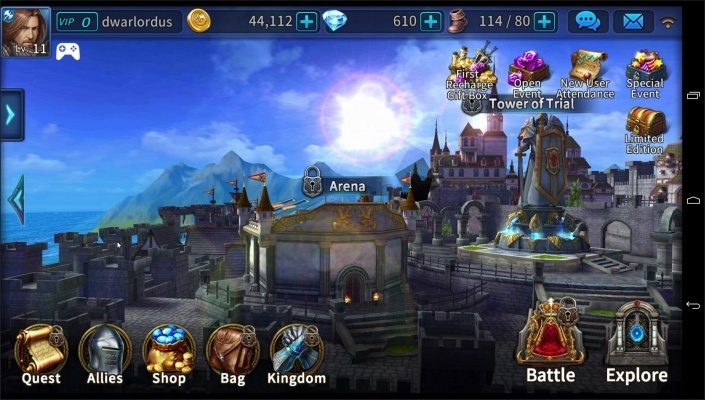 Join a Kingdom and Conquer All - In Kingdom of War, adventurers will be able to join a ‘Kingdom’ with up to 50 other players from all around the world. 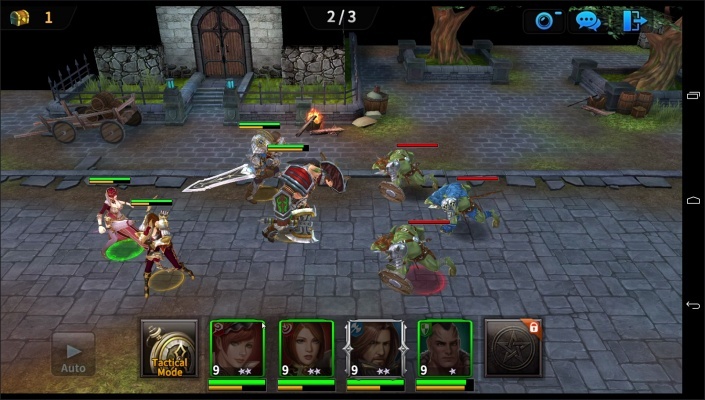 Joining a ‘Kingdom’ will unlock the Raid and Conquest Battle game modes. 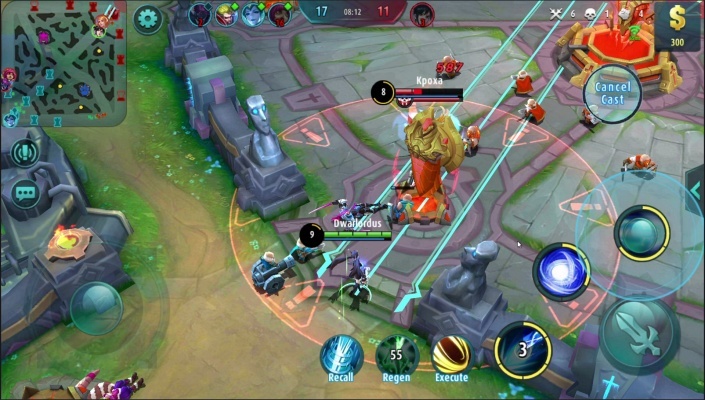 Guild Raid - The Raid game mode will require players to take a custom four man group into battle against an epic Dragon Raid boss. 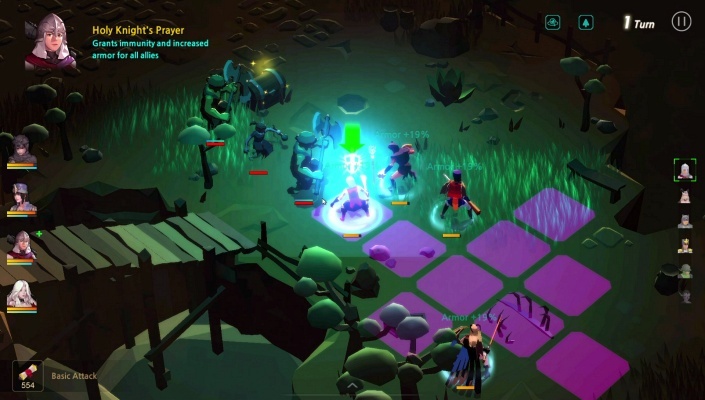 While there is no participation limit within the game mode, once a hero is used or if a hero falls in battle, they cannot be used until the next day. Inflicting damage on to the raid boss will earn both Kingdom and Individual points which is used to determine the type of reward players will receive. 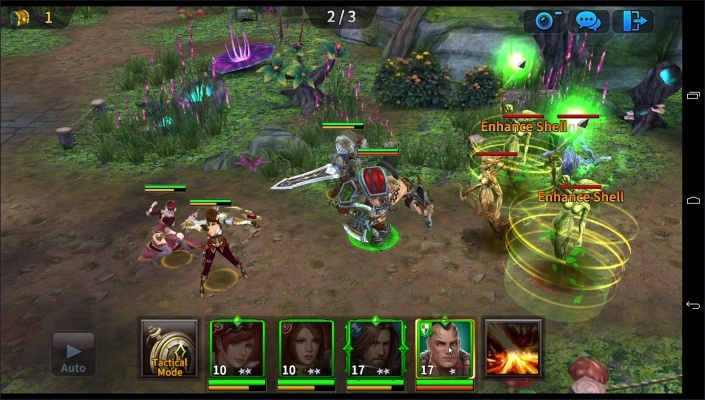 Conquest Battle - Conquest Battle is Kingdom of War’s ultimate PvP experience. 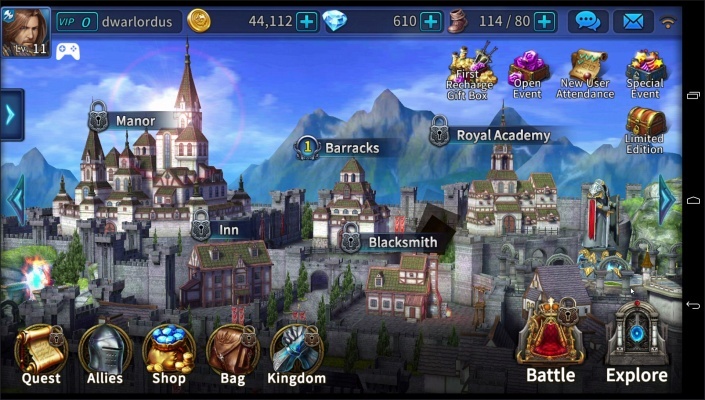 Fight under your nation’s banner as you and your kinsman face off against Kingdoms from all over the world as you battle in real time to claim ultimate glory within Conquest Battle. The main objective of the battle is for your Kingdom to claim as many territories on the map during the three week season. Available for three hours daily, Conquest Battle will pit eight Kingdoms against one another on the unique Contest Map. Over 200 players will be able to battle for control over territories, while an additional 200 AI players will also attempt to steal your Kingdom’s territories. 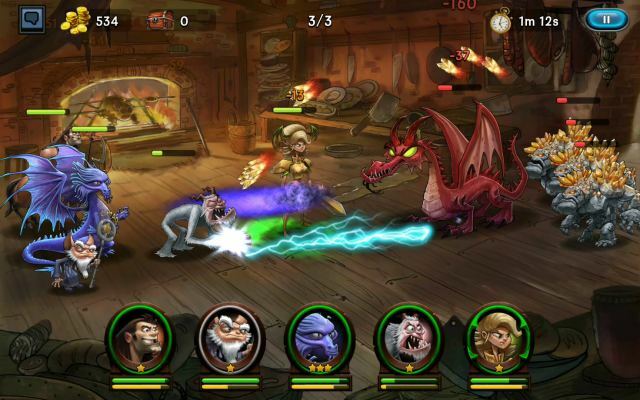 Members of the Kingdom must navigate the map, attacking neutral and enemy bases they come across to further expand their conquering kingdom. While navigating the Conquest Battle map, resources will be used anytime a move or attack order is performed. 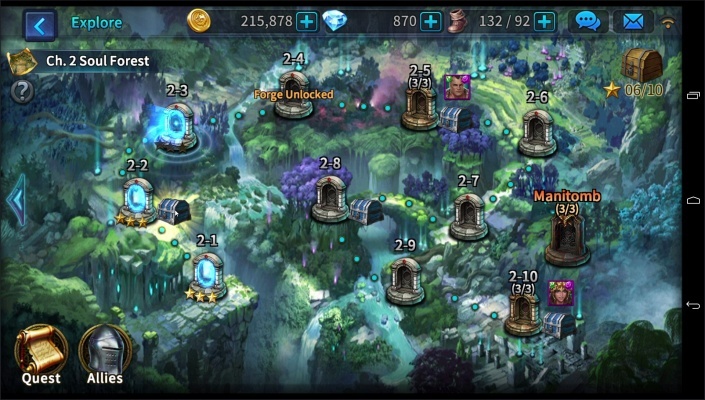 You will be able to earn additional resources based on how many zones your Kingdom has under its control. At the conclusion of the three week season, all participating Kingdoms will be rewarded and top ranks will be promoted to the next league tier.